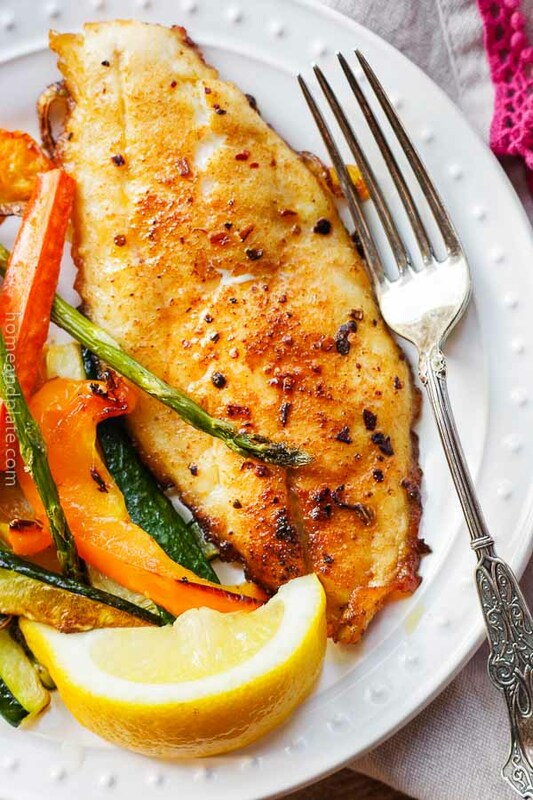 There’s nothing like the flavor of fresh grouper to celebrate summer. Every trip to Florida I never hesitate to order this favorite fish. And even battered and fried. Grouper has a mild yet distinct flavor, somewhere between sea bass and halibut. It’s a firm fish when cooked that is flaky, moist and delicious. 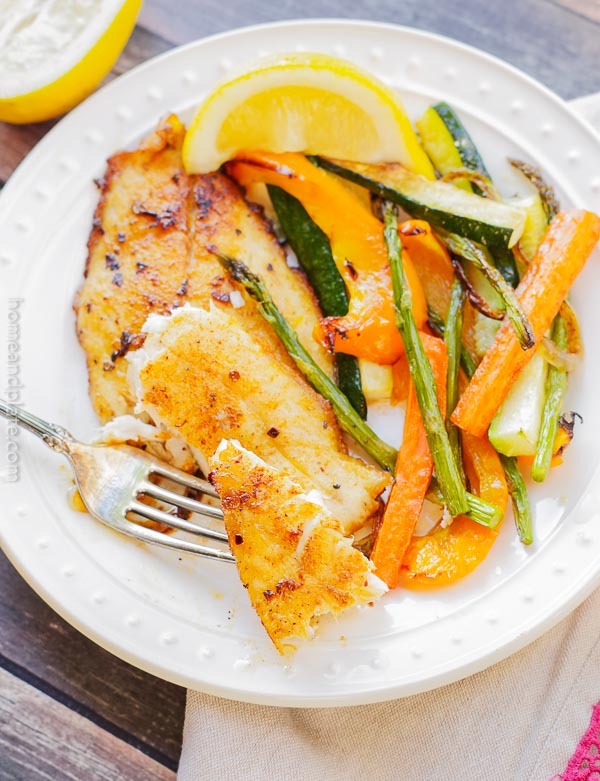 For this recipe, I used creole seasonings to add a kick of heat and Cajun flavoring to the fish. Blackened spices include paprika and cayenne pepper with a few additional thrown in. It’s about the heat. We also love jerk seasoning on fish. The possibilities are endless. 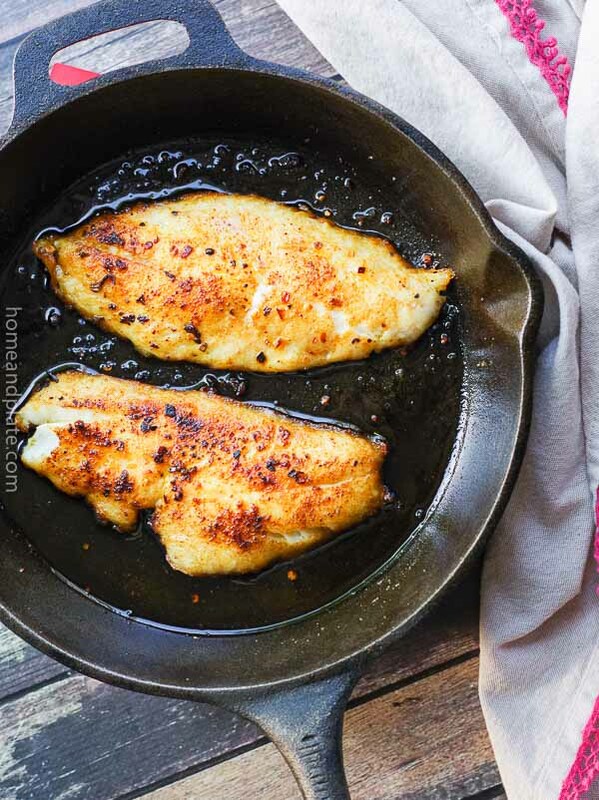 Searing grouper is best in a cast iron skillet because the pan can get hot quickly then go right into the oven to finish cooking. 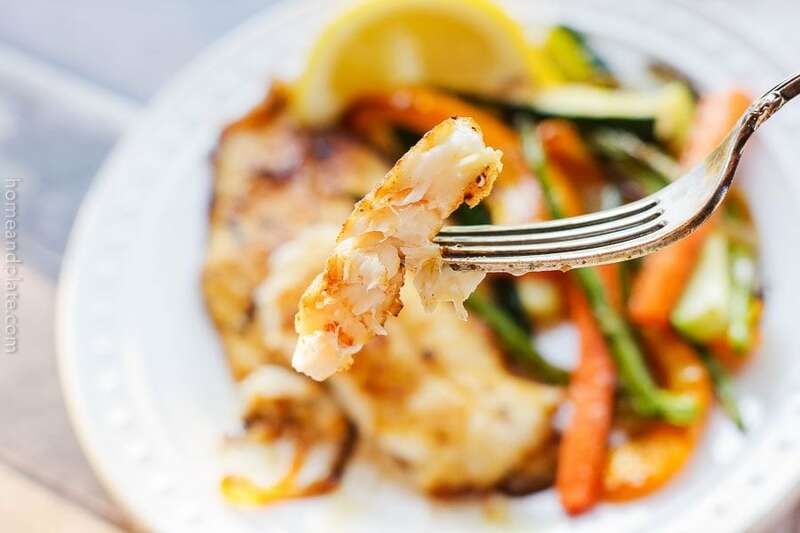 Depending on the thickness of your fish fillet, you’ll want to watch closely so as not to overcook and dry out the grouper. Select grouper fillets that are 1 to 1 1/2 inches thick. Make sure the pan is hot before adding the fish. The fish should sizzle when adding it to the hot oil. Searing the fish before finishing it in the oven gives the grouper a crisp crust. Serve this grouper on slider buns with coleslaw, on a plate with roasted veggies, or in your favorite fish tacos. Not a fan of grouper? Other white fish options include halibut, sea bass, flounder and mahi-mahi. 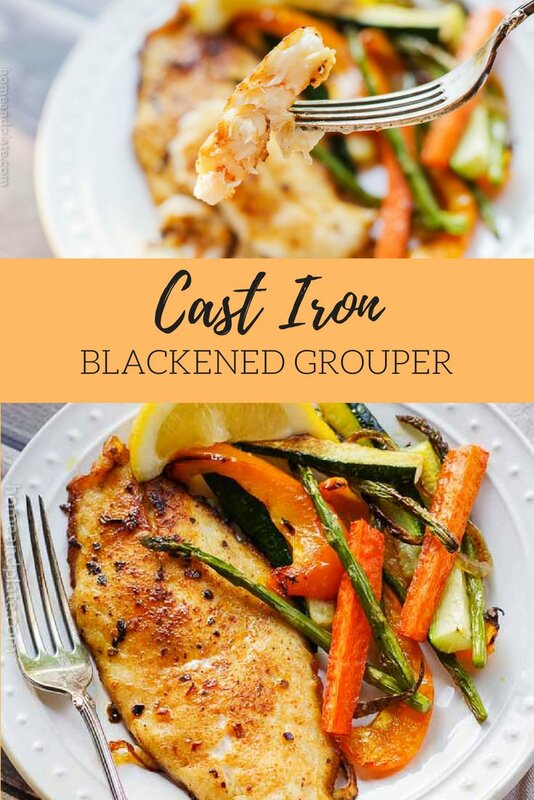 Want to learn how to make this Cast Iron Blackened Grouper? Preheat the oven to 425°F. Pat the fish dry with paper towels and sprinkle the fillets with jerk or Cajun seasoning. 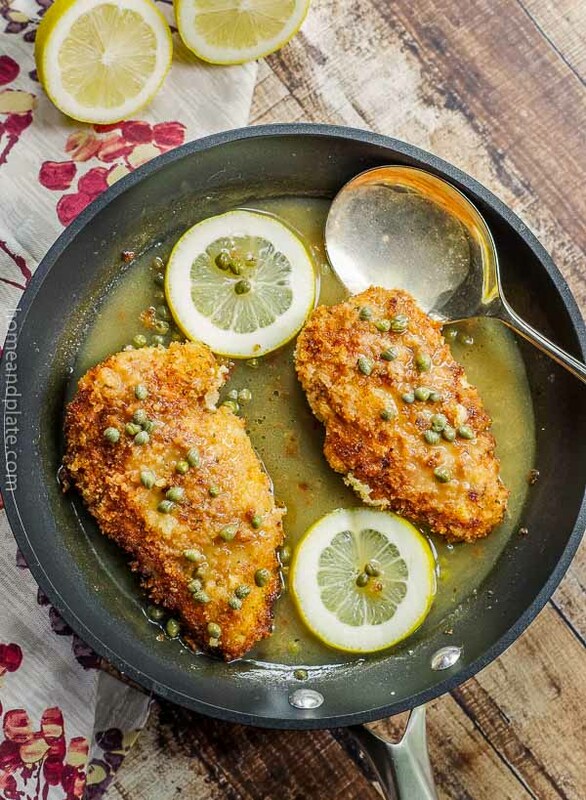 Heat the olive oil in a large cast-iron skillet over medium high heat. Place each fillet seasoned side down into the hot oil. Looks amazing! I love fish! This grouper looks super tasty and full of flavor! 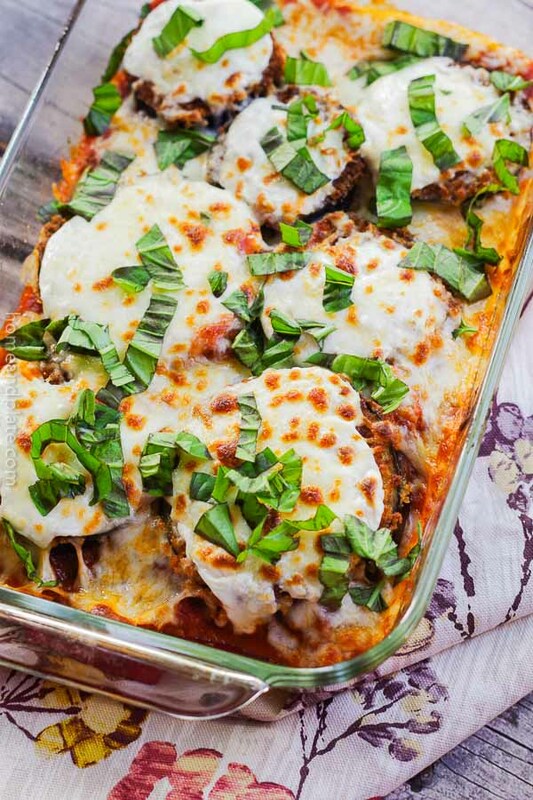 This is such an easy recipe and full of flavor. Do you recommend a cajun seasoning brand? 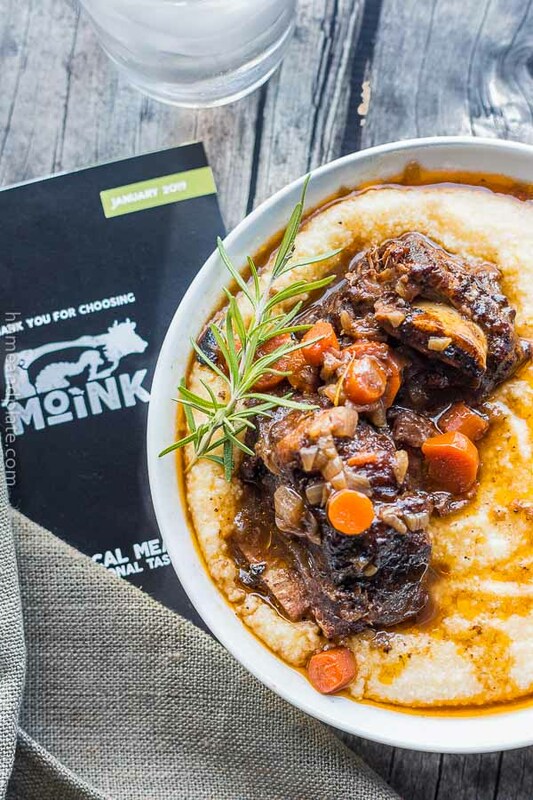 I think anything that is Jamaican Jerk would be fantastic on this recipe. Even something creole would work on grouper. You just can’t go wrong. 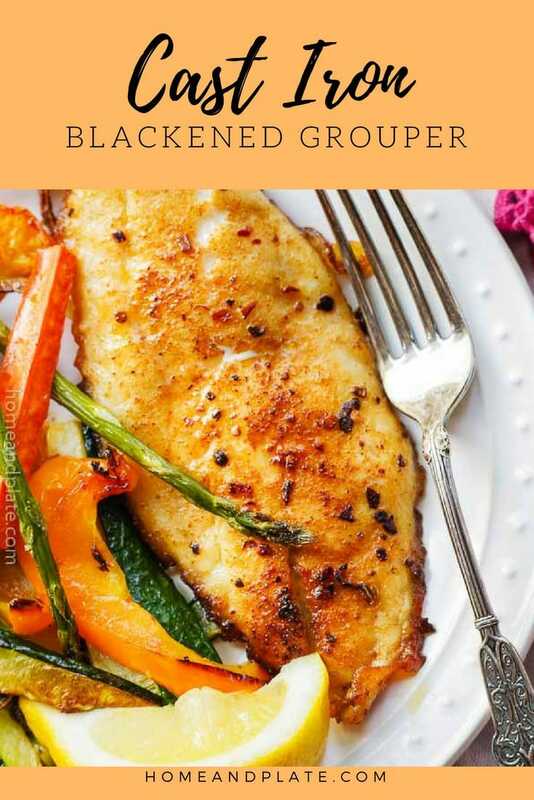 I love grouper, but I’ve never made it at home! Your recipe looks like a major winner. Can’t wait to try! It’s so easy to make at home and tastes so good. Thanks Kim. Let me know how it turns out. 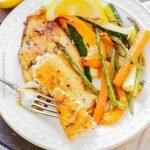 I love grouper and I love cooking in my cast iron skillet, so this recipe is a win-win in my book! I’m pinning this to try soon, thanks! Such a good recipe with all that creole and Cajun seasoning going on. I am a vegetarian so can’t do the grouper but can smell the seasoning on that..